There are so many things to do in Kenmare this summer! At Rent An Irish Cottage we want to share some of our favourite days out in Kenmare and surrounding peninsulas in County Kerry and County Cork. Drive the ring of Kerry and experience magnificent scenery. This drive is truly breathtaking and full of delightful visual surprises. Start in Kenmare and make your way toward Molls Gap – this is truly beautiful especially when you are driving through the Black Valley (named so for it was the last place in Ireland to get electricity). When you reach the other side of the mountain, the gap of Dunloe unfolds on the Killarney side. This drive is other worldly. Continue on then for Killarney, Glenbeigh, Cahersiveen, Portmagee, Waterville, Caherdaniel and Sneem. The only advice for this trip is to have time and be prepared to stop and take photos alone the way. There are so many photographic opportunities. A great spot to have lunch is just outside Waterville or Caherdaniel and enjoy magnificent views. 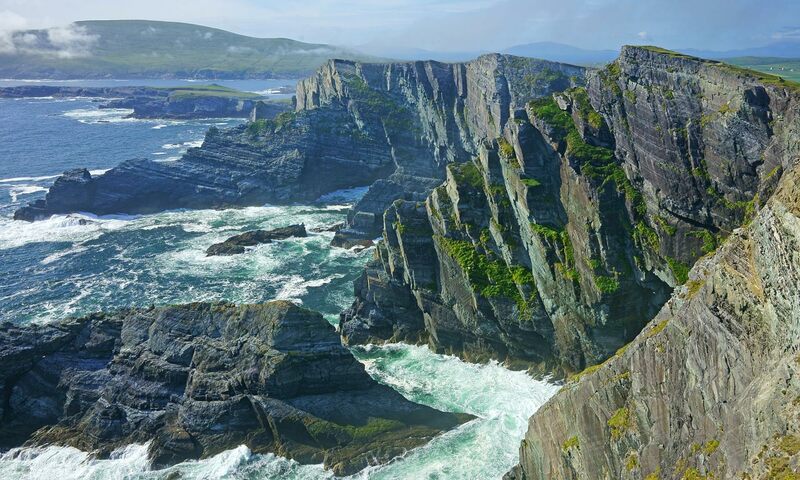 Beara peninsula, a piece of rugged land shared between Cork and Kerry. Scattered all along the peninsula are numerous megalithic monuments from a bygone age that are easily reached by car. The Beara Way is based on the march of O’Sullivan Beare in 1603. The Beara Way is a long distance, walking route around the highly spectacular peninsula with a large concentration of historical and archaeological sites en route. The main towns on the route are Castletownbere, Kenmare and Glengarriff. There are a number of colourful villages in between: Allihies, Ardgroom, Adrigole, and Eyeries. Bere Island and Dursey Island offer excellent walking after a short trip by ferry or cable car. For a day trip choose one walk and in the afternoon plan lunch in the next town. The Uragh Stone Circle is a magical place to visit and well worth the adventure! Beautifully situated on a small hillock between lough Cloonee Upper and Lough Inchiquinn, the monument consists of a five stone circle with a huge outlier in close proximity. This neolith stone circle sits near Gleninchaquin and just 13km from Kenmare. Take the R571 West towards Ardgroom. After about 13 kilometres take a left turn, signposted Uragh Stone Circle. Follow the road to the very end. Follow the track through the gate and don’t forget your camera! Have an early start and take the first half of the day to visit the Skelligs. Most tours will visit Skellig Michael first where you will get time to walk to the top and enjoy the coast of Kerry from the Island. This is really a magnificent experience. On the island there are beehive huts still intact from when monks inhabited the island. On the return journey the boats visit the smaller islands and here you can see the unique bird life and puffins up close. The boats leave Portmagee early and do phone ahead a day or two in advance. Bring a snack (water essential) or a packed lunch to the island to enjoy after the long walk to the top. Enjoy the Star Wars Experience on Skellig Michael or choose one of the eco tours that focus on observing the wildlife from the water. Bring a wind breaker with you as the boat journey is 9km off shore and it often gets windy on the journey. There is no food available to you off shore so bring a snack and water also. This fabulous day out offers the visitor so much. Visit the house and get a guided tour of how the landed classes lived in the 19th Century. The grounds offer so much to explore, from spotting wild deer or challenging hikes to gentler walks. A boat ride out on the lake is good fun and harks back to quieter times. A walk to Torc waterfall is a must, it is not that long or steep and suitable for most fitness levels. There are more strenuous walks and guided tours of both the house and the Killarney National Park can be booked. It is advisable to know what walk you are doing in the Killarney National park (26,000 acres) if you are doing a long hike as the forest can be dense in spot and contains some difficult terrain. It is truly rewarding with lakes, streams and wildlife including deer. Spend the morning walking the magical Reenagross Park, a short 3km route with views of Kenmare Bay at every turn. The walk wanders through woodlands and takes the visitor past the waters edge to experience what was once a private park in the 18th Century. The park starts just outside 3km outside the town on the Iveragh Peninsula and there is free parking. It is easy to miss so just look carefully for the signs. Afterwards find the stone circle just outside the town. This walk is ideal for any age group. After an early lunch head for Gleninchiquin Park. All walks in the park are suitable for most fitness levels. This park is made up of woodlands, paths and walking past stunning waterfalls. Dogs are welcome in this park and photo opportunities await at every corner. If you want to visit the lake at the top it is possible to drive the narrow R571 road up but be warned this road is narrow and only cars and small coaches are allowed up.